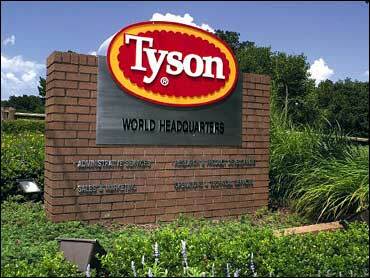 SPRINGDALE, Arkansas - Five workers exposed to chlorine gas at a Tyson Foods Inc. chicken processing plant are in intensive care and about 50 others remain hospitalized after an accident caused by the unintentional mixing of two chemicals, the company said Tuesday. Human error played a role in the accidental mixing of two chemicals that created the gas as a byproduct of a chemical reaction, said Donnie King, Tyson Foods' senior group vice president of poultry and prepared foods. Mickelson said the company is investigating the accident and won't discuss its findings until the investigation concludes.